A part of the Cumbrian Coast line, from Barrow-in-Furness to Sellafield in Cumbria, England. 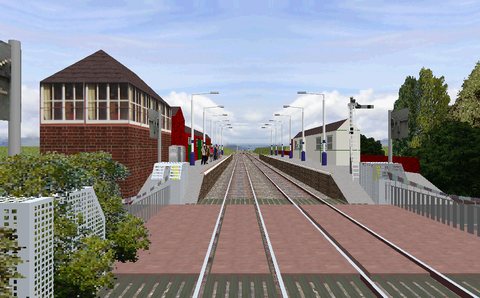 Northern Rail ran passenger traffic at this line with the class 156 DMUs when this simulation was made (today the route is run by Arriva). Beautiful stations and trackside details. Soft curves and realistic switches. The rural landscape is however rather empty of details. About the Cumbrian Coast line at Wikipedia.